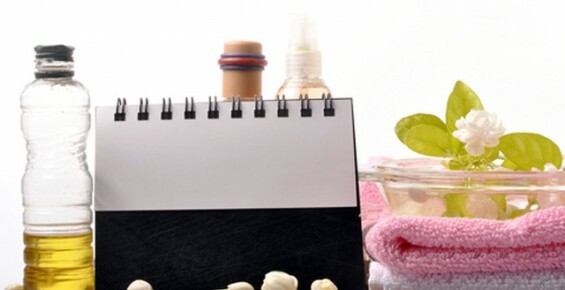 Wax depilation involves using wax to temporarily remove unwanted hair from the face and body. Waxing removes the visible hair and root, so the re-growth is of completely new hair with soft, fine, tapered tips. It will take 4-6 weeks before you will require the service again. Our wax contains Tea Tree Oil for its healing and anti-septic properties, and we specialise in giving our clients a professional, relaxed and comfortable experience. 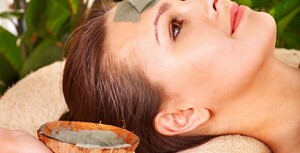 Warm cream wax is applied to the brow area and between the eyebrows, embedding the hairs that need to be removed. Wax is then removed with calico fibre strips also removing the hair from the root. 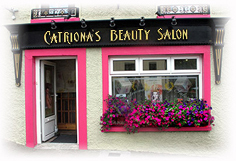 In Catriona’s Beauty Salon we use the finest cream wax which is heated at a very low temperature, making it perfect for the delicate eye area. The effects last up to 6 weeks. Treatment time: 5 – 10 minutes. Film wax is a specialised product for use on sensitive areas. This wax sticks to the hair only and not the skin, thus providing a gentler wax. For use of film wax add €5 to the treatment cost. Come prepared – either wear loose fitting cotton undies and remove during treatment, or wear a G-string/thong. Wear loose fitting outer clothing for comfort after treatment. Warm wax (strip wax) first became available in 1975 and is now the market leader for hair removal. It is clean and easy to use, and because it is disposed of afterwards it is also very hygienic. 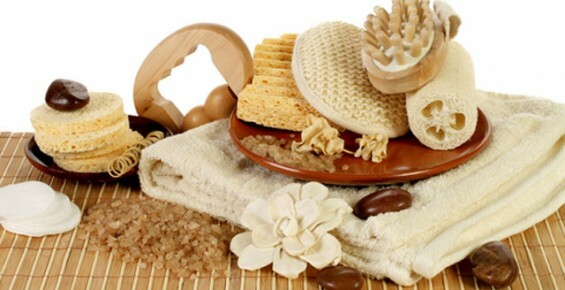 Warm wax is used at a low temperature, 37-40°C, so there is little risk of skin burning, and in less-sensitive areas the wax can be reapplied of necessary. It can remove very short hairs (2.5mm) from the legs, arms, underarms, bikini-line, the torso, face and the neck. We also carry out all these treatments for men. Although warm wax is used at fairly low temperatures, loose surface skin cells are removed (exfoliated). There is a mild stimulation of the blood supply and the hair follicles are lefty more open to infection. This is because the hair and surface skin coatings have been removed. Our wax contains Tea Tree Oil for its healing and anti-septic properties. Film wax is slower to use, and at a temperature of 36-37°C leaves little risk of skin burning. Cooling when applied to the skin, it tightens firmly around the hair shaft making it ideal for removing short, strong hairs. The wax opens the pores to get a better grip on the hair, and doesn’t stick to the skin as much as warm wax making it less exfoliating to the skin. Film wax can be used on the sensitive body parts such as bikini-line, underarms and face. Be sure to inform us of products you use regularly on areas to by treated as some products may contraindicate you to waxing. (e.g. face creams containing retinol/AHA’s must be avoided for 5-7 days before treatment, and for 2-3 days after treatment). Regularly apply a soothing after wax lotion such as Australian Body Care Tea Tree Hand and Body Lotion to keep the skin soft and minimise any redness or irritation. Do not swim in chlorinated water for 24 hours. Have only luke warm showers/baths for 24 hours. Refrain from applying anti-perspirant, deodorant, self tans or perfumed products to the area for 24 hours. Avoid applying make-up to the area for 24 hours. Avoid sunbathing or having a solarium treatment for 24 hours. Do not touch the area and keep the skin clean. Avoid wearing tight clothing over treated area for 24 hours. Starting three days after treatment exfoliate the area every 4-7 days and apply Australian Body Care Hand and Body lotion daily. This will help to prevent ingrown hairs. (Also available in salon is Skin Doctors Ingrow-Go, to get rid of and prevent reoccurrence of ingrown hairs).